The days are getting shorter and shorter as we approach the winter solstice, June 21st. I knew it would be this way of course, that our winter solstice here is the summer solstice in New York, and just like in New York, the days are getting shorter. What I didn't know was that it meant the sun doesn't rise till after 9am. Every morning we get the children up and off onto the school transport in the dark and it's still hours before the sun comes up. It sets around 7pm which is better than the 4:30pm sunsets we used to have in the winter, but every morning it feels as if we're waking in the middle of the night. The girls are the ones on the front lines of cultural immersion. Every morning they go to school, greet their friends and teachers with kisses, (on the cheek), and a "Buen dia" (good morning). 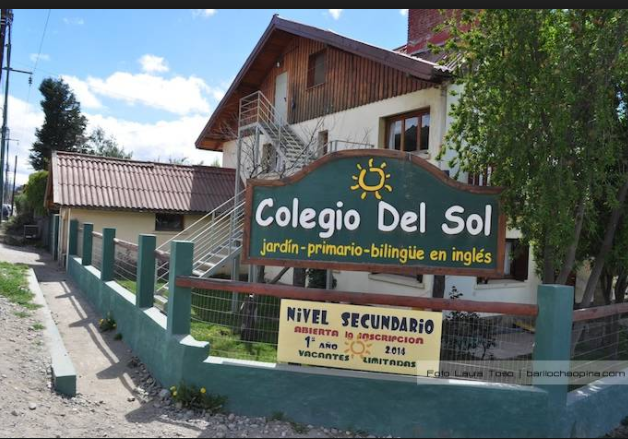 They call all their teachers by their first names, are learning songs in spanish that hail Argentina, and say a "pledge of allegiance" to the Argentine flag at the end of every day. Chloe knows the names and locations of all the countries in South America, and all of Argentina's provinces. Phoebe is starting to read, in spanish, and Naomi, ... Well, she tells me all the time that her teacher loves her. Stopping in at the kid's school is a frenzy of kissing. We kiss and say "hola" to the children who we've met, we kiss the teachers and any parents we've been introduced to. Mike's taken to shaking hands with other men, but he knows it's seen as very formal. Sometimes it's helpful to lean on the fact that we're foreigners from a more formal society. People here seem to understand. The strangest thing for us is when we meet other Americans who live here, they want a kiss as well.... It does make everyone more friendly! I guess Argentina is contagious! Hola! We have actually met before. Back in Feb my family and I were staying in Bariloche for the month. You have three cute little girls. My daughter and I saw you in a Bookstore downtown and we chatted briefly on the street. Sorry to hear about your ectopic preg. It can be quite scary. I am glad all is well now. We had to return from our adventure in Arg. because of her medical scare with my wife. All is fine now and we hope to make it down to Argentina again soon. sorry to hear about your wife's medical troubles. I just read about your nightmare experience with American Airlines. I thought they went bankrupt. Sounds like they deserve to.